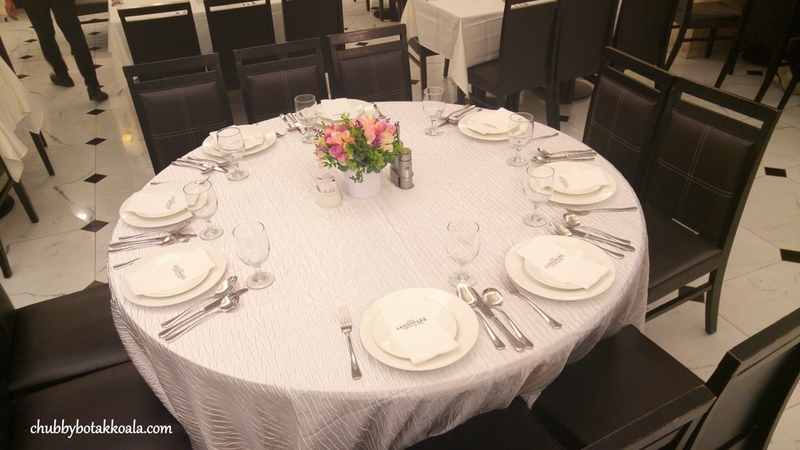 The Landmark is the main restaurant for Village Hotel Bugis (formerly known as Landmark Village Hotel). 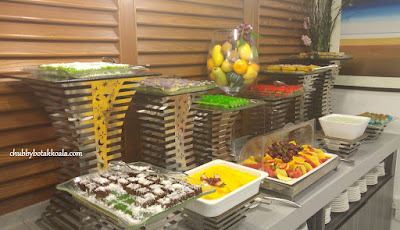 It served buffet breakfast, lunch and dinner; as well as ala carte menu. 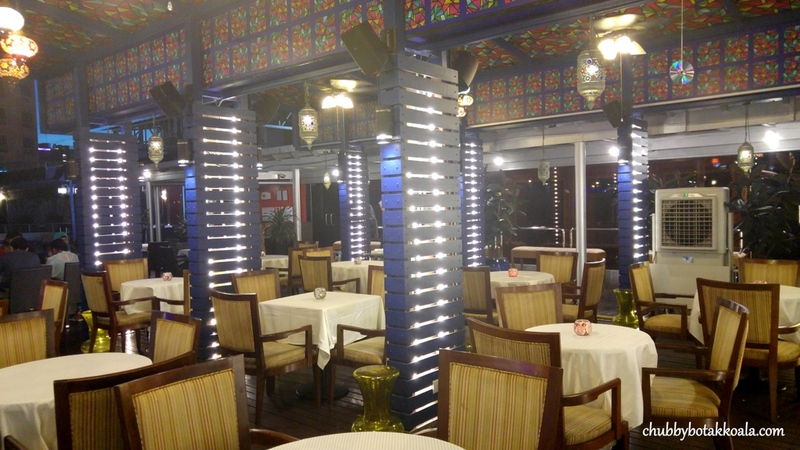 The Landmark is a Halal Certified Restaurant serving Western, Asian, Indian and Mediterranean cuisines. When you enter The Landmark, you will be greeted with the huge photo of Celebrity Chef Bob, who is the Ambassador of The Landmark. 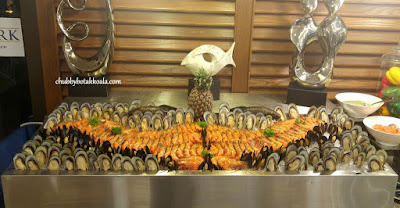 However, the Main Chef or known as the 'PRINCIPAL' is also a well-known Celebrity Chef Amri Azim. A renowned Malay Chef, skilled in French Cooking. 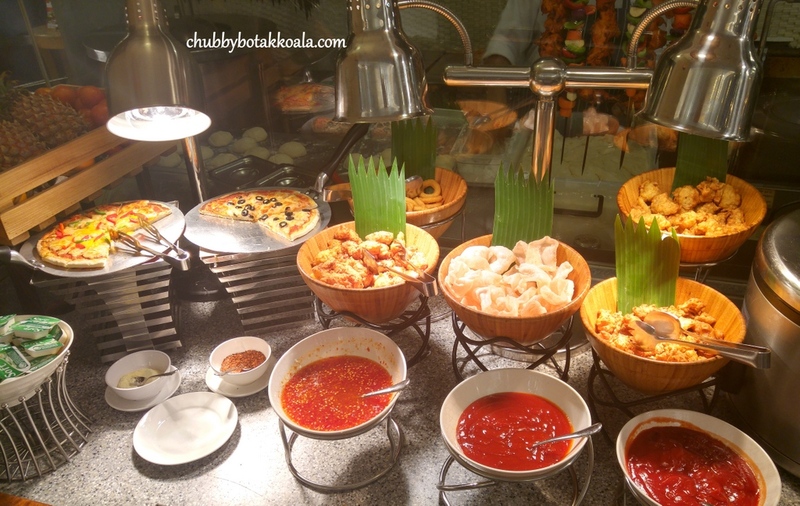 The selections of the buffet include: Salads, Pizzas, Pastas, Snacks, Cooked Dishes, Kebab, Roast Beef, Chilli Crab, Cold Seafood, Tulang Soup, Naan, Indian Dishes, Local desserts and drinks. Tulang Soup (Mutton Bone Soup). The Tulang Soup here is definitely a must try. The broth itself is thick and robust. Lots of spices are used for this broth, but they made it perfectly balanced without the usual overpowering pepper. For tulang lovers, this will be a treat for you. Just get the straw from the drink station and slurp the marrow out from the bones. Little Devil manage to polish three of the tulang in one seating. A good hearty start to the meal here. Beef Gallatin. 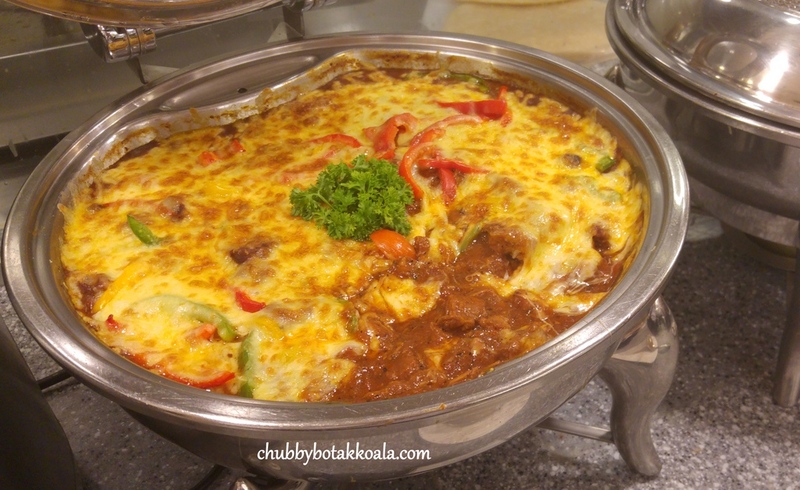 The Landmark version of Beef Stew with Cheese. It is thick, robust, beefy and topped with cheese for its creaminess. I always have a weak spot for beef stew and this definitely hits the spot. Chicken Kebab. 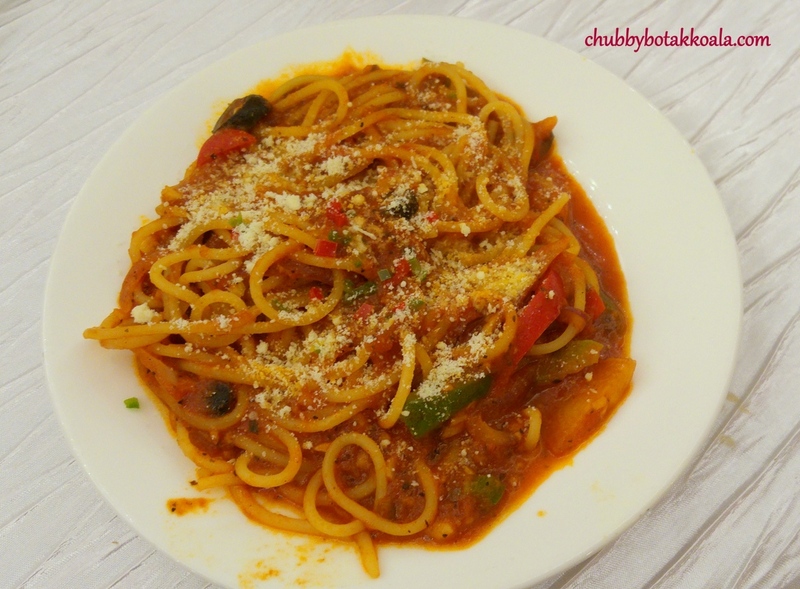 A dish with Mediterranean influences. Tender and succulent chicken meat, well marinated and well constructed with the wrap. The mini bits of chicken, fresh vegetables and mayonnaise just bind the dish well. Chili Crab. 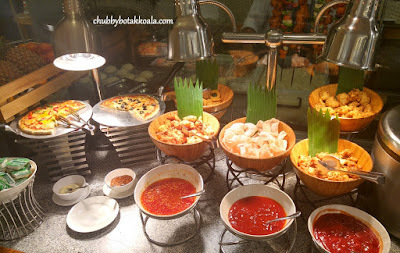 The version here uses only sambal, instead of the egg sauce version such as in Jumbo Seafood. The blue swimmer crabs are cooked in sambal and it tasted fiery indeed. 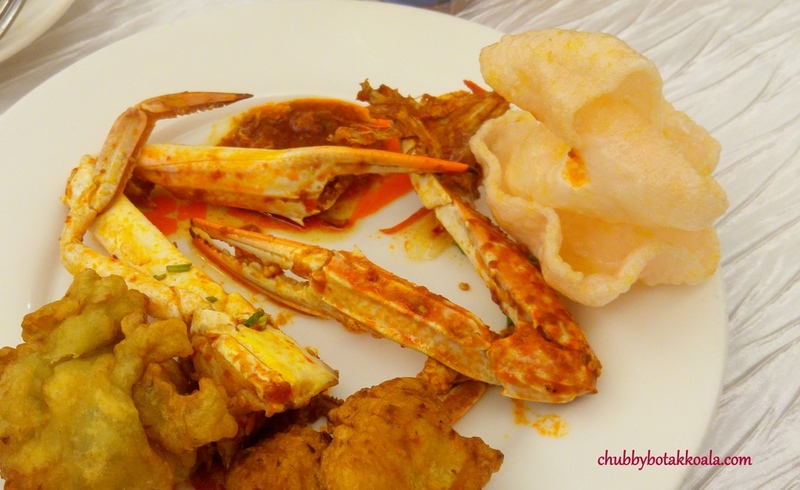 The crab meat is sweet combined with the fiery sambal is definitely not for the faint hearted. I only manage to finish one pincer and gave up on the second one as it was just so spicy. LD enjoyed it though. Naan and Butter Chicken. We just can't say no to a fluffy naan. Nicely executed, it was fluffy and slighly chewy at the same time. 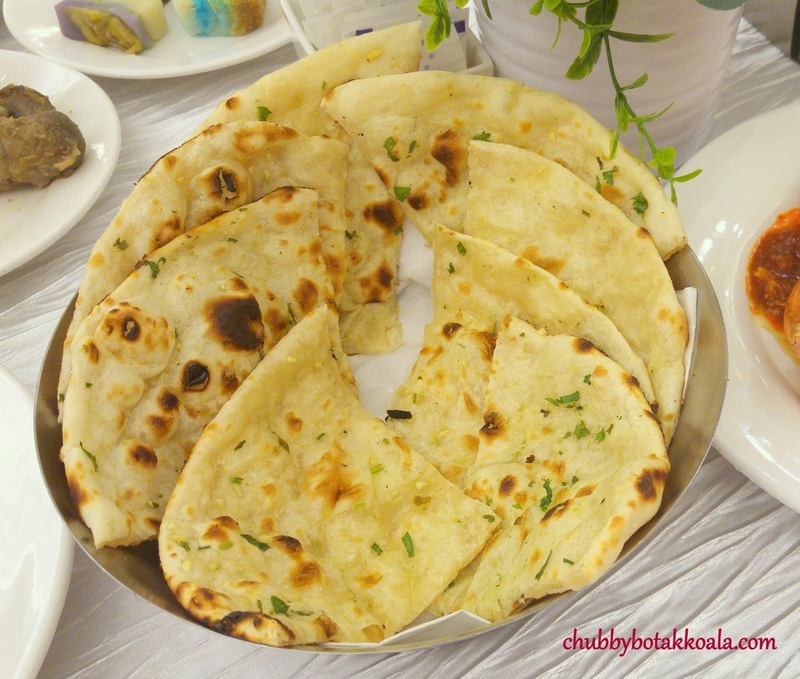 It was flavourful to the point where it can be eaten on its own or use it to dip into the butter chicken. 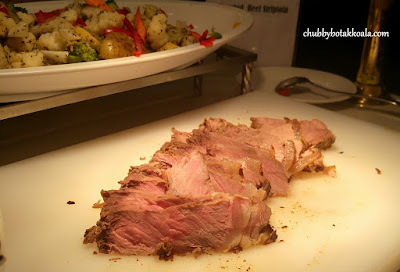 Roast Beef Striploin. Although the beef is cooked to medium, the meat was just cold and rubbery. I think the heat lamp did not do the job and chewing on a cold roast meat is something that you won't look forward to during the dinner. Pasta. The pasta came with the option of black pepper sauce and cream sauce. I personally think they should change it to a beef bolognaise sauce or maybe use the same sauce base as beef gallatin. The Landmark has cover more than 4,000 square feet dining area. These include indoor dining, outdoor dining and also live stage area outdoor. The indoor dining area is brightly lit, with a set up more for formal dining, especially with the chandelier lighting plus black and white theme. The outdoor seating has a less formal approach, decorated with Mediterranean theme. 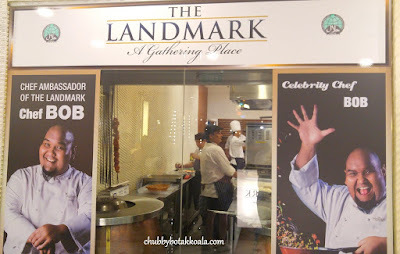 The verdict, The Landmark provide a good food for a reasonable price. 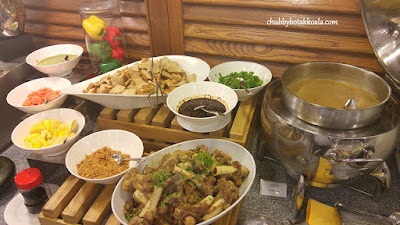 Tulang Soup and Beef Gallatin are a definite must try. From price point, it is definitely a must try place. Cheers!! 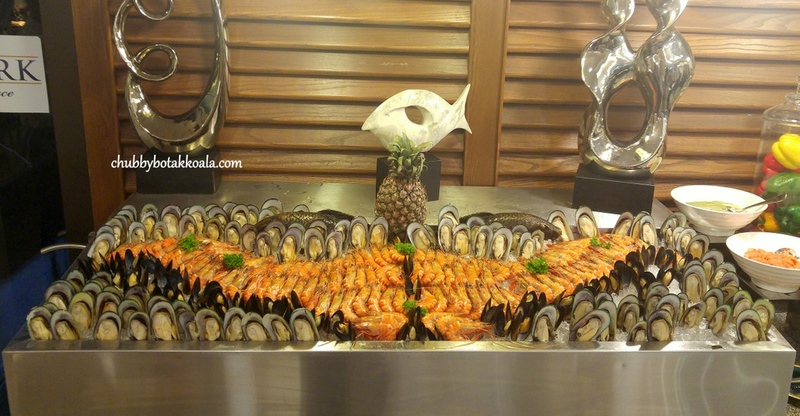 #HungryDeals Pay for 4 Diners and 5th Diner eats free. This deal is available for reservation through HungryGoWhere.